Acer has made good on its commitment to bring computing goodness to the education sector, revealing a list of primary schools it is sending free laptops to. The initiative is part of the company's legacy programme for the London 2012 Olympic and Paralympic Games. The company is currently the brains behind the PC hardware infrastructure for the London 2012 Olympic Games and part of this commitment is to offer up some sort of computing legacy in London. The fruits of this can be seen in Acer's link-up with charity group the e-Learning Foundation, which sees the company offering 500 laptops to select primary schools in the Capital. These laptops will have been previously used at this year's Olympics, but we're sure they will be in good nick by the time they reach the schools. 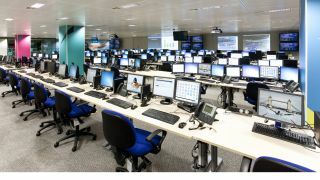 Speaking about the initiative, Valerie Thompson, Chief Executive of the e-Learning Foundation, said: "This is a really exciting opportunity for these schools to be part of the London 2012 legacy. "It would have been easy just to give these [laptops] away, but by requiring that the school makes a commitment to continuing an e-learning programme, we are building the foundations of a sustainable programme rather than a one-off hand-out." When it comes to the Olympics, Acer has revealed just what its computing infrastructure entails. According to the company, 13,500 desktops, 2,900 notebooks, 950 servers and storage systems and a number of tablet PCs have been installed at the Games to run the information system for the event. And there was us thinking it was just one person and an iPlayer connection.